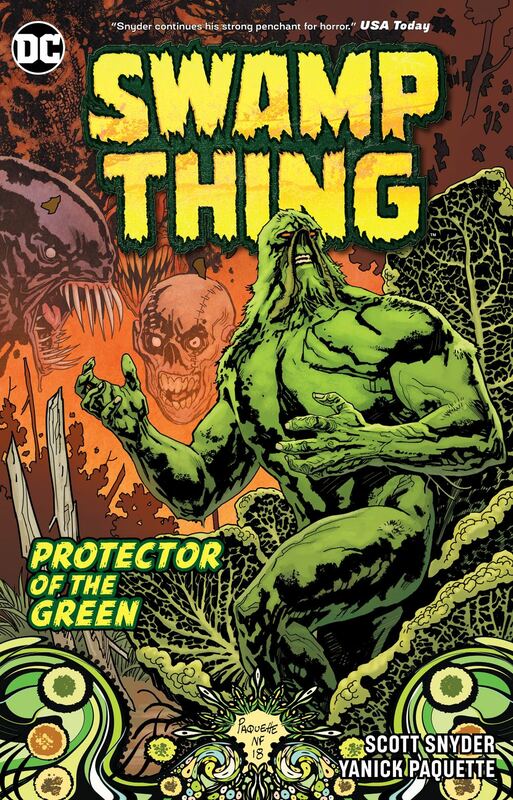 The legendary Swamp Thing has resurfaced for a new age just as a new force threatens to rot away all life on Earth! Since the dawn of time, the planet's safety has depended on maintaining a balance of three great powers: the Green, the force that unites all plant life; the Red, the force that unites all animal life; and the Rot, the force of death. The Rot's own avatar is growing stronger, and servants of decay gain more territory every day. If Alec Holland doesn't return to his duties as protector of the Green soon, there might not be anything left to protect! Collects SWAMP THING #1-10, ANNUAL #1 and ANIMAL MAN #12 and 17.